Multiverse offers a broad and exciting selection of panels, gaming, book signings, cosplay, art, parties, demos, workshops, and special events across all three days of the convention. Programming will start at 1pm Friday, October 18th, with the Opening Ceremonies and continue through to 4pm Sunday, October 20th, with the Closing Ceremonies. Boskone is New England’s longest-running science fiction convention! On Thursday, November 1, following the 8:00 PM performance of EVE'S SONG, join Public Forum for a post-show Speaker Series titled "The Virgin, The Monster, and The Victim." Playwright Patricia Ione Lloyd, founder of Black Girl Magic literary magazine Kenesha Williams, and others will participate in an intimate conversation about women horror writers, the stereotypes they face (on the page and in the world), and more things that go bump in the night. Audio of this Speaker Series conversation will also be available on the Public Forum’s website one week after the event. Capclave is a small relaxed literary convention with a program that usually focuses on the short fiction form. Our Guests of Honor and other notable authors, editors, artists, and fans of the short fiction form will explore the creation and enjoyment of short fantasy and science fiction genre stories. I will be a featured guest of Blacktasticon (formerly known as The State of Black Science Fiction Convention). In 2012 six Black Speculative Fiction writers form the State of Black Science Fiction collective in order to bring attention to their work and the work of other indie Black Speculative Fiction creators. Since that time, the State of Black Science Fiction has become a positive force of Black Speculative Fiction in Metro Atlanta and throughout the country. In 2016 SOBSF hosted our first convention at the Southwest Arts Center. With over 500 attendees and over 40 vendors, to say it was a success would be an understatement. Now, in 2018 we're back again with Blacktasticon 2018. 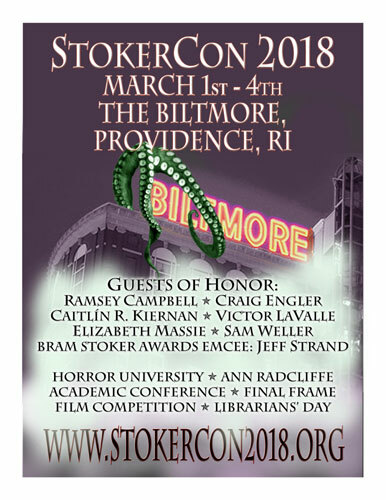 Brought to you by the New England Science Fiction Association (NESFA), Boskone is an annual science fiction convention, the oldest in New England. NESFA is a non-profit 501(c)3corporation and both NESFA and Boskone are run and put on entirely by fan volunteers. I will update with what panels I will be on as soon as the schedule is finalized. Ken MacLeod, Boskone 54’s NESFA Press Guest, wrote a blog post about his experience. On Saturday October 7, 2017, from 11am-5pm, Balitmore, Maryland based Morgan State University will play host to the 8th annual African American Authors & Empowerment Expo. The day long event will be free to the public, and includes panels, writing related workshops with some of the industries most talented authors, and a vending area to peruse. As a part of the event, BlackSci-Fi.com will host a workshop titled “Developing a BlackSci-Fi story in three parts ( Character creation, Developing the Art, and marketing the/ Publishing the book)“. The workshop will take place from 3pm-4pm EST. The workshop will allow participants to learn about the various facets of creating a piece of black speculative fiction, while getting a chance to pick the minds of panel members who bring years of experience of creating to the workshop. The Annual Convention of the Association shall establish policies and programs of action for the ensuing year. all actions of the Convention on questions of policy and programs, which are not contrary to the Constitution, shall be binding on the Board of Directors, the Executive Committee, the Officers and all Units, except as hereinafter provided. No resolution for change of policy or program of action shall be in order unless it shall have been favorably voted upon at regular legislative meetings of a Unit in good standing, or has been submitted by the President and CEO. The resolutions for policy or program change must be certified by the President and Secretary of the Unit, and received by the President and CEO in the National Office by May 1st annually. The Convention shall act on all such proposed program or policy changes during its Legislative Sessions. The East Coast Black Age of Comics Convention, originally slated to be called the Pan-African Comic Convention (PAC-Con) or First World Komix Con (1st World Con), is an annual gathering of comic book artists, writers, their fans and retailers who are interested in discussing, buying and selling comic books, sci-fi, action figures and related material by and / or about Black superheroes / super-powered characters / adventures.